As shearing equipment, guillotines are designed to handle a wide range of applications. This is why it is important to keep them functioning in optimal shape, and avoiding these common mistakes is integral to that. Keeping dull blades. Guillotine blades can cut through materials even when they are dull, but this puts additional stress on your hydraulic cylinders and clutch pumps, which may result in premature wear and tear on the entire machine. In addition, dull blades work through materials more slowly than properly sharpened blades, which can negatively impact your production time. There are many ways to avoid keeping dull blades, and subsequently preventing costly repairs. FIrst, timely guillotine service will help in vetting that your machines are at their best forms. Running a periodic maintenance schedule will enable your facility to stay on top of maintenance needs, and getting them sorted. In addition, make sure to get your guillotine blades sharpened when they merit it. Using the same blades repeatedly. This is one of the most common mistakes that facility managers make, but the good news is it is very easy to avoid. A key sign that your blades may need changing is if they do not cut as fast or as well as they used to. Blades also have set cycles, according to their types. Standard steel knife blades, for instance, usually last up to 1200 cycles, or 8 hours. High speed steel inlaid, for their part, can go through 3,000 cycles or around 16 hours. And carbide knife blades last the longest, almost ten to twenty times longer than high speed steel inlaid. Cutting at wrong angles. Finally, make sure that your guillotine is not being overworked by cutting at the wrong angles, or the wrong clamp pressure. If you’re cutting paper, for example, angles and clamp pressure intensities should be calibrated according to the specific material that you’re cutting. Soft paper usually only need 19 to 20 degrees, with low clamp pressure; hard paper may require up to 30 degrees, and significantly more clamp pressure. If you are not sure about the prescribed technicalities for your industrial needs, check manuals and manufacturer instructions. 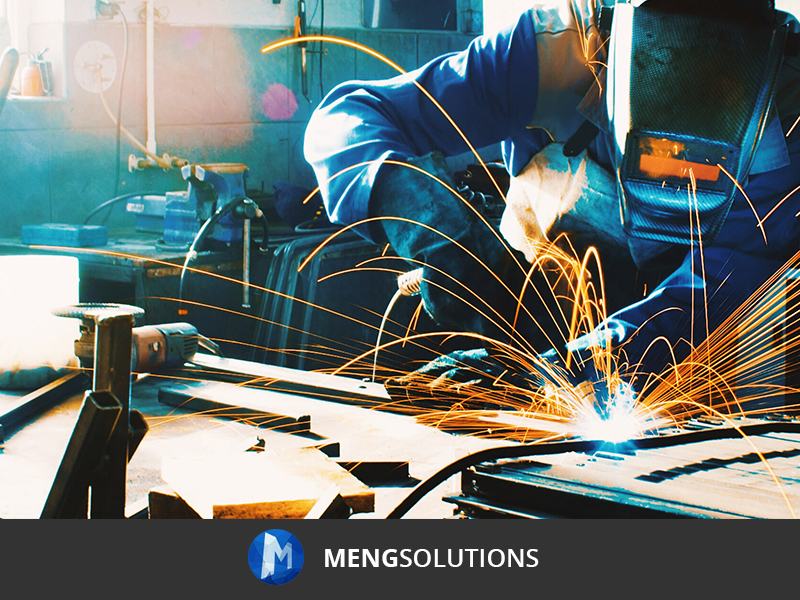 If you need guidance on how you can further ensure the structural integrity and optimal functionality of your guillotine, Meng provides a wide suite of solutions for machines and equipment: from guillotine service and repair to industrial machinery maintenance. Visit our website on www.mengsolutions.com.au. Maintenance Engineering Solutions is your partner when it comes to safe, reliable, and affordable equipment repairs. Contact us today to get a quote and find more about how you can find creative, economic, and long-term solutions to problems with your machinery.